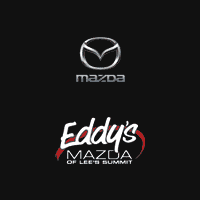 We can give you a lot of reasons to choose Eddy's Mazda. Here are 5 reasons, just to start. One of the highest rated Mazda dealerships in KS & MO! Took my 2018 CX-5 in today for the first oil change. It was free and the tires were also rotated for free. Work started at the correct time and was ready as promised. Took my Mazda 6 in later to get oil changed and airbag changed out on the recall. Worked 30 mins. early and and took a little over an hour. I have bought an embarrassing number of new cars over the past 30 years, sometimes trading in an old one for a new one in less than a year. I very seldom write reviews, but I want to give a shout out to the salesperson I dealt with yesterday, Nathan Johnson. Nate was excellent. He was low-key, attentive, and efficient. He immediately picked up on the fact that I knew exactly what I wanted, and what I didn't want, and he soon had everything squared away. Jennifer Pommer came in to close the deal, she was very pleasant to deal with. Jacob Edson handled the paperwork quickly and efficiently, and I drove away from the dealership in another new Mazda. Also thank you to Jasmine Heitz for her assistance.I highly recommend Nate Johnson if you are thinking about a new vehicle purchase. Wonderful experience, the best staff and place I’ve ever been to! They sat with me until they found the perfect car and deal for me! Walked in not very hopeful I’d get anything for the price I could afford, and walked out the same day with something half the price I could! Amazing and would recommend to anyone! Our experienced sales staff is eager to share its knowledge and enthusiasm with you. We encourage you to browse our online inventory, schedule a test drive and investigate financing options. You can also request more information about a vehicle using our online form or by calling 816-774-1100. If you don’t see a particular vehicle, click here and complete the form. We will gladly inform you when a matching car arrives. If you’d like to see a vehicle in person, click here: Directions for step-by-step driving instructions to our site, or give us a call. We look forward to serving you!